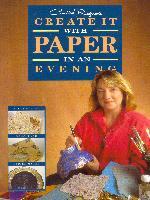 This book includes nine craft projects even beginners can make in an evening using papier mache, decoupage and paper making techniques. Patterns and full-color illustrations are included. Caroline Righton is a renowned crafts artist in Great Britain.